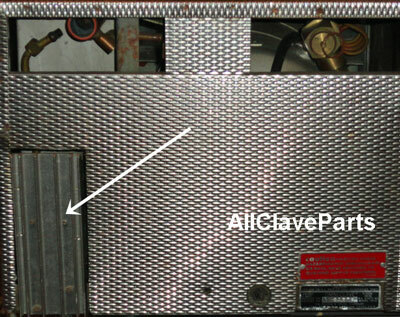 Look At The Back Of Your OCR, If it doesn't have the Solid State Controller Shown In The Picture Below, You Have A Hydraulic Unit & This Controller Will Not Work With Your Autoclave In It's Current State. Testing the Temperature Controller is a simple procedure. Now place a probe on one of the outside terminals and one probe on the center terminal. Reading should be 10K. If your readings are as above, the Temperature Controller is good. If they are outside of this range, the Temperature Controller is bad and needs to be replaced. Don't Like To Solder Wire Connections? Order the OCR Wiring Harness Part #PCH187-106. Comes Complete With The New Temperature Controller all for only a few dollars more. It includes new wiring & the Temperature Controller with all of the connections pre-soldered and quick connects installed.